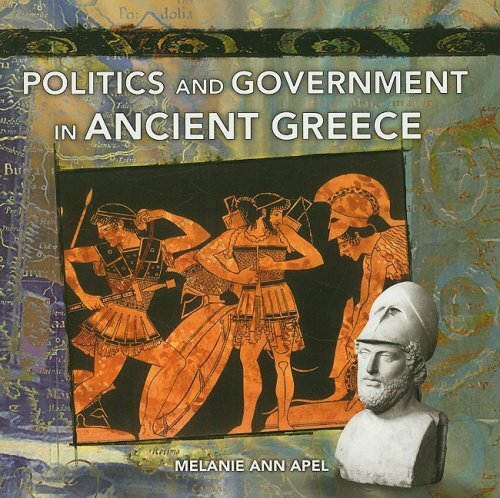 Focusing on one of the most dramatic and controversial periods in modern Greek history and in the history of the Cold War, James Edward Miller provides the first study to employ a wide range of international archives—American, Greek, English, and French—together with foreign language publications to shed light on the role the United States played in Greece between the termination of its civil war in 1949 and Turkey's 1974 invasion of Cyprus. Miller demonstrates how U.S. officials sought, over a period of twenty-five years, to cultivate Greece as a strategic Cold War ally in order to check the spread of Soviet influence. The United States supported Greece's government through large-scale military aid, major investment of capital, and intermittent efforts to reform the political system. 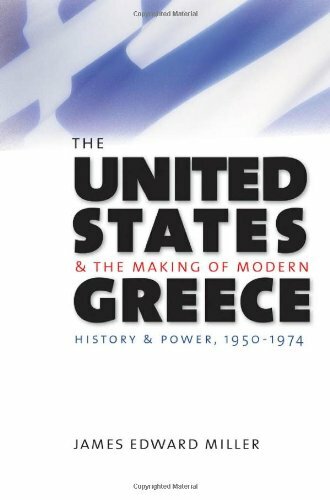 Miller examines the ways in which American and Greek officials cooperated in—and struggled over—the political future and the modernization of the country. 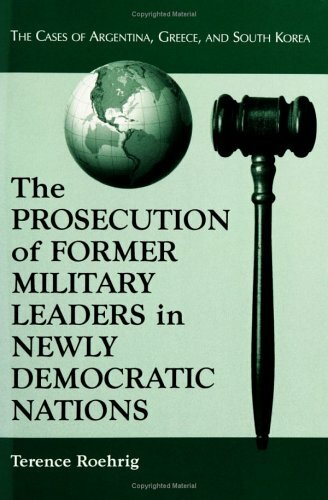 Throughout, he evaluates the actions of the key figures involved, from George Papandreou and his son Andreas, to King Constantine, and from John Foster Dulles and Dwight D. Eisenhower to Richard Nixon and Henry Kissinger. Anyone willing to take up the toxic subject of US-Greek relations deserves admiration.This is especially so if the intent is to write not conspiratorial history, but to canvass the archives and try to reconstruct, as best as possible, how events transpired.In that task, James Edward Miller has succeeded, producing a fair book with ample documentation and support. 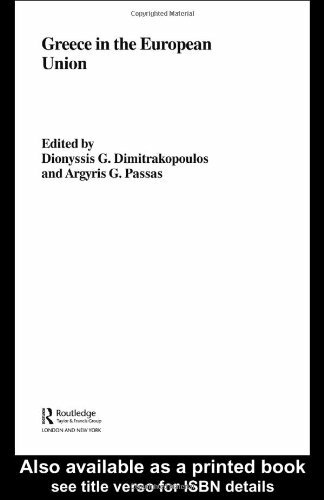 The book focuses on US-Greek relations after the Greek civil war in 1950 and until the fall of the military junta in 1974.Mr. Miller makes plain that he sees the history of US-Greek relations through the prism of Peter Sellers' "The Mouse that Roared," a "tale of the ways in which small states successfully manipulate great powers. "His narrative tells of clashes, rivalries, and efforts by various actors - the monarchy or politicians - to solicit the support of the United States to their side.Often, those doing the soliciting were the same ones demonizing the United States for foreign "interference" in Greece's domestic affairs. 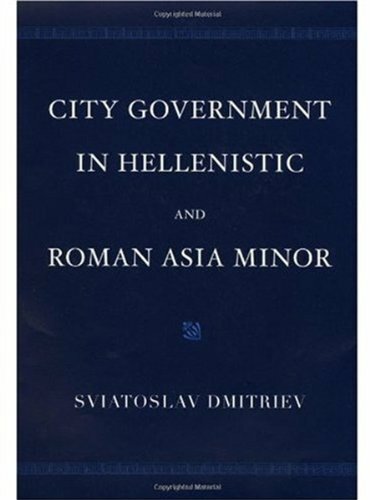 Mr. Miller has little patience for the "official" Greek view on US-Greek relations.He sees a Greek side that blames America for its own mistakes; that treats America as omnipotent; and that wishes for just enough "interference" to serve its ends.Miller writes thus: "The Greek political establishment and Greek public opinion were united on one issue, blaming their errors on the United States.For the next two decades [in the 1980s and 1990s], the United States served as a national piñata, trooped out left and right, on every possible occasion, to assuage feelings of humiliation and to avoid a national debate over the real causes of both the rise of the Colonels and the Cyprus disaster." Mr. Miller makes these points but is no apologist for American policy.When that policy made no sense, he says so, and he is especially critical of how the Nixon Administration dealt with Greece.Usefully, he deconstructs American policy into its various components, distinguishing between the American embassy in Athens, the State Department, the CIA and, in later years, Henry Kissinger.Far from monolithic, American policy contained both trenchant and short-sighted analysis; idealism and realpolitik; and a tendency to react to facts on the ground as much as to create them. In the end, it is that attention to detail and the fidelity to the archival record that gives the book its force.This is no flawless book, of course.There are times when it is short on details or where there is a discussion of a historical controversy not followed by resolution.And this is a text that could have benefited from more Turkish sources on the chapters on Cyprus.But of the many books and articles written on US-Greek relations, this book stands out. 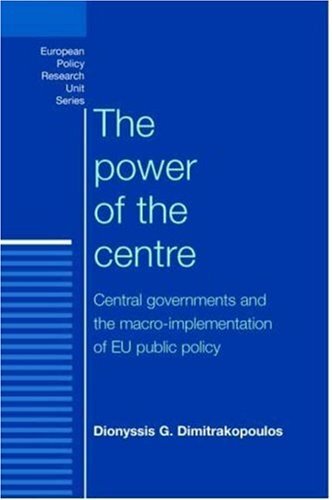 This book examines a hitherto under-researched aspect of the European Union’s policy process--the extent and the nature of the involvement of central governments in the implementation of EU public policy. It discusses how the co-ordination of these institutions affects their capacity to shape the way in which the commitments that they make in Brussels are turned into concrete reality at the national level. It shows that the nature of their involvement in implementation reflects the pattern of their involvement in the formulation of EU policy. However, since implementation unfolds over long periods of time, its patterns can change over time. The author draws on empirical evidence regarding the liberalization of public procurement to demonstrate how the institutions of central governments bring about change. 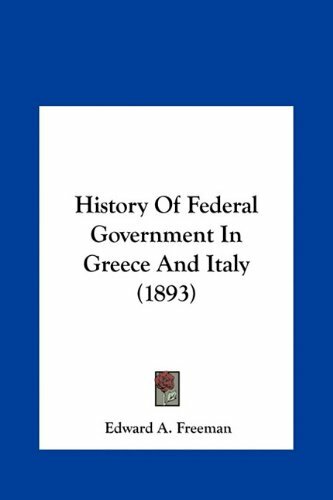 Comparing the central governments of Greece, France and Britain over a twenty-five year period, the author demonstrates that--far from being the passive conduits of pressure emanating from the EU--the institutions of national central governments actively steer the implementation of EU public policy. What are the limits of Europeanization? 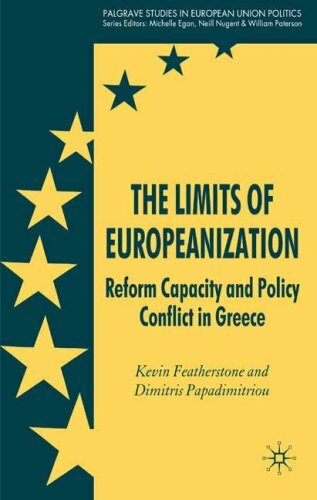 This book explores the impact of the European Union's agenda of structural reform on Greece. This is a setting that welcomes closer European unity, but which apparently struggles to adapt to the demands of adaptation. The book analyses why the domestic system has so often resisted adaptation in these important economic areas by charting policy initiatives over the last decade on privatization, labour market regulation, and pensions. Its findings raise questions about the scope of the EU to coordinate a programme of economic reform, alongside the inclusion and governability of a system that fails to deliver. Sian Lewis explores the role of news and information in shaping Greek society from the sixth to the fourth centuries, b.c. 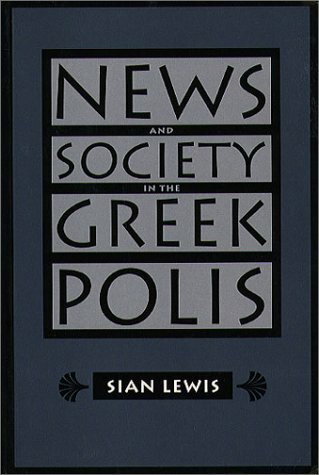 Applying ideas from the study of modern media to her analysis of the functions of gossip, travel, messengers, inscriptions, and institutions in the polis, she demonstrates that news was a vital concern for the ancient Greeks. Specifically, the acquisition and exchange of information played a key role in determining status and power. Proceeding from a discussion of individual citizens involved in the exchange of news to an account of more complex forms of communication organized by the polis, Lewis traces the role of what we call news in a culture that was primarily oral. She contrasts the informal exchanges that occurred among travelers and merchants with the official announcements made by heralds and envoys. She also analyzes the motives behind such official announcements and the ways in which the authorities exerted control over the flow of information. Finally, she reconsiders the role of the political assembly and the origins of the public inscription, which has until now been assumed to have been the primary source of news for Greek citizens. It's really hard to criticize this collection. Not only does it have all the excellent features of the OCG series (footnotes and extensive, individualized introductions), but it also includes a history and recommends commentaries on each piece. The introductions speak to dating estimates of many speeches, making it even more interesting and thorough than the other members of this already pristine collection. This is a very instructive and handy book. I very much appreciate the pages printed in Greek letters as well as the English translation, which is a great help, especially because it is very close to the original version. This is truly a masterly piece of work. 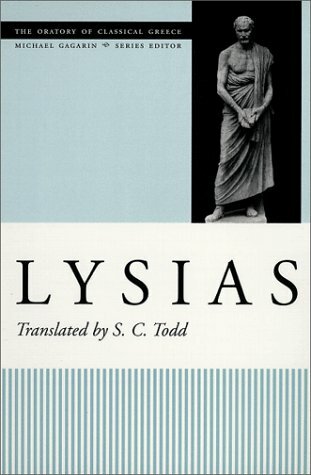 At last the speeches of Lysias have been given the attention they have been long over due. The author has successfully produced a modern translation of the extant works of thisgreat Greek logographer. 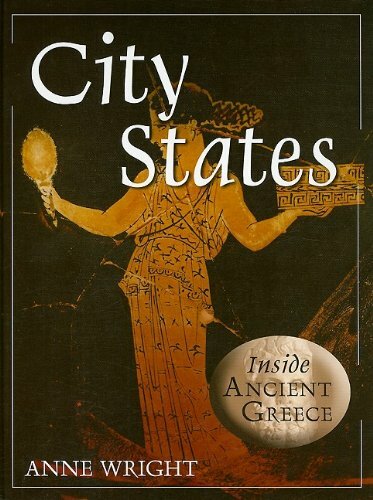 Lucid and insightful this work is easilyaccessible for those with a general interest in Ancient History, as well asboth A-Level Ancient Historians and undergraduate level students whopossess no or limited knowledge of the ancient Greek language. Theauthor's most notable achievement is that of the quality of thetranslation. 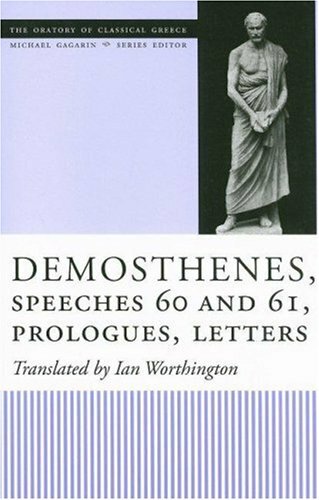 Textual emendations and inferred passages are clearlyprovided, as are the alternate readings and meanings of the Greek text.However, the erudition of both author and book are clearly evident. Eachspeech is preceded by a detailed introduction outlining important eventsreferred to within the text as well as political ties and historical eventsthat often form the background to the case in question. Thisoften-invaluable introduction is used to highlight effectively thesubtleties of the cases but it can be undisputed to state that the trueappeal of the book is in its majestic grasp of language. 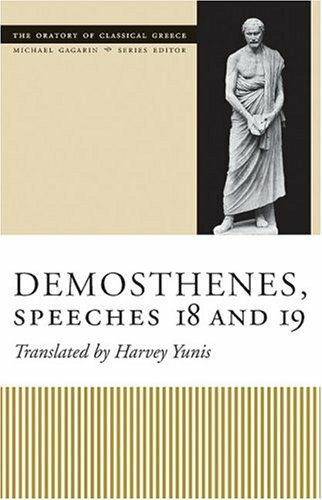 The obvious skillof the author lies in his ability to capture the true atmosphere of thespeeches whilst at the same time providing a clear and lucidtranslation. Since the 1980s, a wave of reforms of public management has swept the world. The investigation into the effects of such major transformations has, however, been unbalanced: important countries have received only limited attention. This timely book fills the gap by investigating the dynamics of contemporary public management reform in five European countries that gave shape to the Napoleonic administrative tradition - France, Greece, Italy, Portugal, Spain. 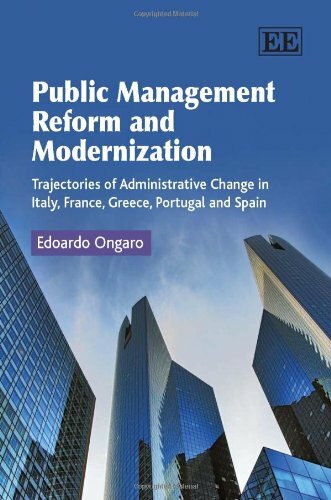 Edoardo Ongaro presents an in-depth investigation of the reform of public management in these countries, revisiting major topics of theoretical interest in the study of public administration. He addresses key issues regarding the influence of the past on the transformation of the public sector, and the direction of reforms. 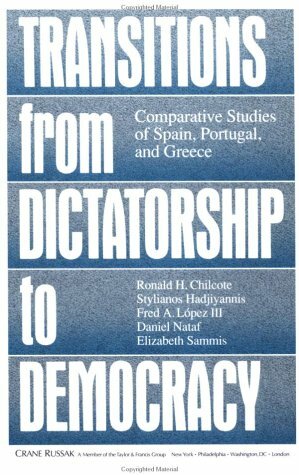 The work looks both backward, to the legacy of the Napoleonic administrative tradition and the way it affected the paths of reform, and forward, exploring whether and to what extent the fascinating idea of the Neo-Weberian State is an alternative to global paradigms such as New Public Management and New Public Governance.